(Reuters) - Canadian oil and gas producer Encana Corp said on Tuesday it will sell its Haynesville natural gas assets in northern Louisiana for $850 million to GEP Haynesville LLC. 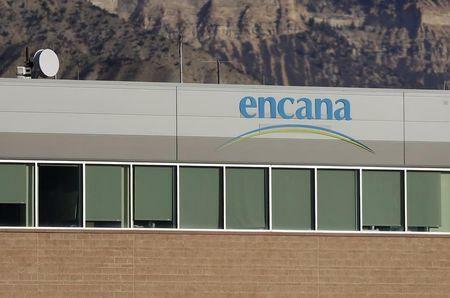 Encana also said it will reduce its gathering and midstream investments by about $480 million on an undiscounted basis by 2020. Under Chief Executive Doug Suttles, Encana has been focusing on transforming into a major oil producer by concentrating spending on regions rich in high-value gas liquids and oil and selling off natural gas assets. The company has said it plans to invest in oil-rich shale fields of Permian, Eagle Ford, Duvernay and Montney in 2015. GEP Haynesville LLC is a joint venture between GeoSouthern Haynesville LP and funds managed by GSO Capital Partners LP. GSO Capital Partners, a unit of Blackstone Group LP , is a credit-focused alternative asset management firm. Encana will transport and market GeoSouthern's Haynesville production on a fee for service basis for the next five years, the company said. The Haynesville natural gas assets include about 112,000 net acres of leasehold, plus additional fee mineral lands. Encana operates about 300 wells in the area and total proved reserves were 720 billion cubic feet equivalent of natural gas at the end of 2014. Bloomberg reported in April that Encana was considering selling its natural gas assets in Haynesville Shale basin.